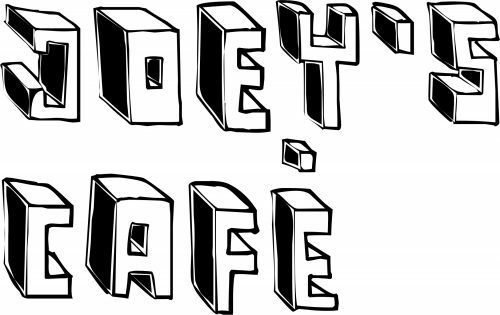 Joey’s Café is a one of a kind cosy Coffee Cabin serving locally roasted espresso based coffee, a huge selection of specialist teas, divine Hot Chocolate, warming Spiced Chai and delicious cakes. 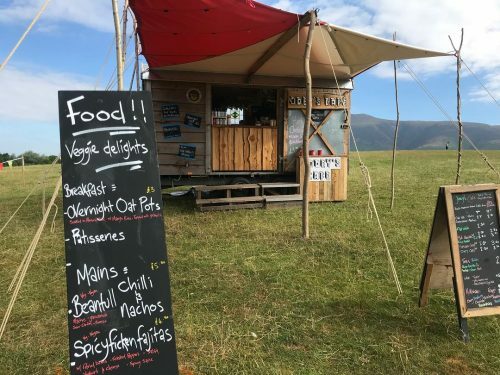 On request, Joey’s has branched out to offer hot food and savoury snacks! You name it, we’ll provide. 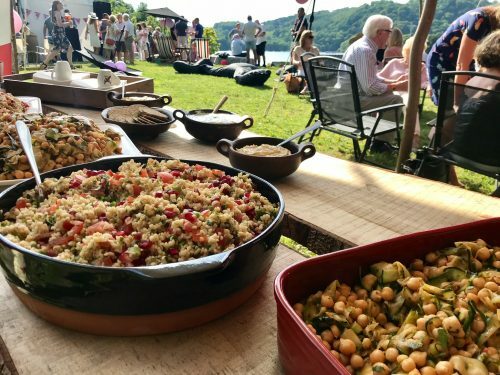 We are known for our vegan stews, amazing summer salads and warm hearty meals in the winter. 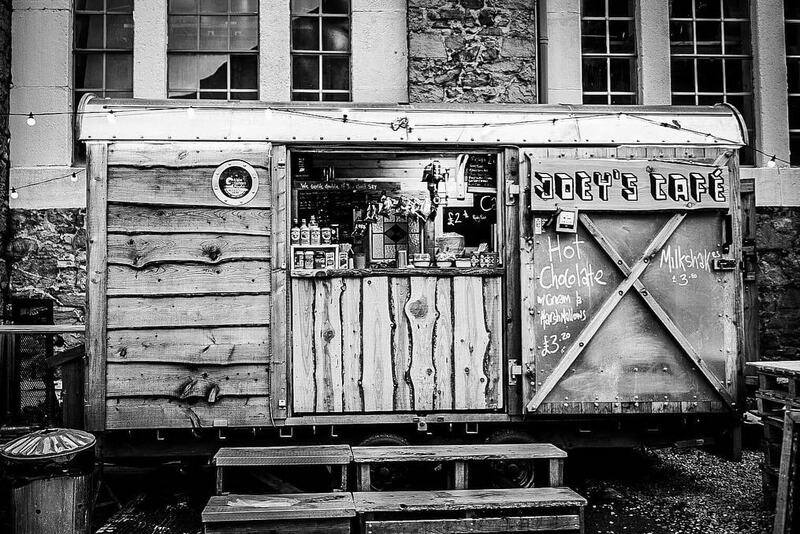 The cabin was designed by Joe and built by Stan upon a 14ft trailer at ‘Woodshed’ in Kendal using reclaimed timber products. It has the feeling of an old log cabin, a ole timey railway truck and a German Bauwagen all put together. It’s a ‘cabin’ and not a ‘shed’! Although Joe will accept the portmanteau ‘Shabin’ if he’s in a stella mood! People are drawn to Joey’s at first by the way it looks, then they grab a beautiful coffee. It just seems to taste even better when served from the cosy cabin, like your having a brew in a Hunters lodge deep in the Canadian forests. The gubbins- only locally roasted coffee beans and only locally baked products in Joey’s! When we say local we mean local to us in the beautiful Lake District. Joe holds a Personal License (sales of alcohol), so we can offer all kinds of exotic beverages such as Irish Coffee, Amaretto laced Hot Chocolate, Espresso Martini and Joe’s signature cocktail “The Labowski’ a very naughty milkshake.